Congratulations to Malcolm Shaw who is our Employee of the Year 2017! 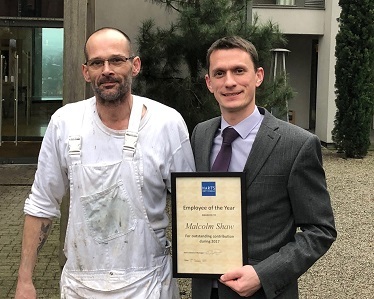 Malcolm works on our Maintenance team – he often can be seen with a paint brush in his hands and he works hard to keep the hotel and restaurant running smoothly. We are proud to have such a dedicated and talented team.